peace in the South China Sea. what was generally believed to be an accident. 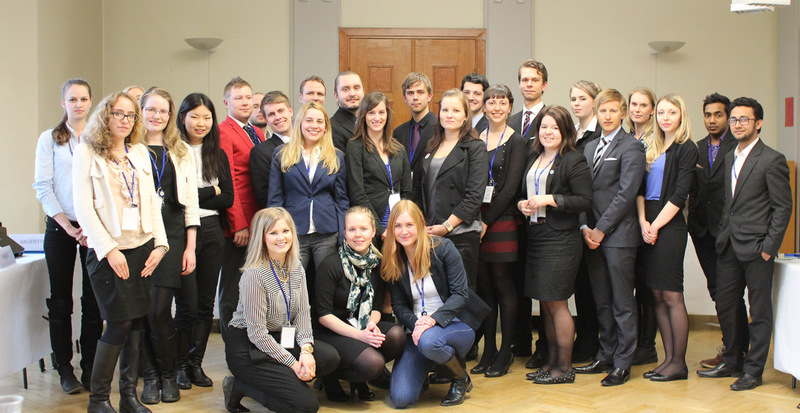 FinMUN had the honour of hosting the NordicMUN 2012 in Nurmijärvi, Finland. 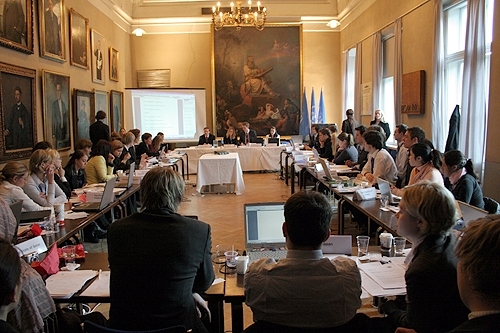 The University level Security Council debated over a dispute on the border of Chile and Bolivia and the high-school level General Assembly discussed various topics under the overall theme, Climate Change. While the Security Council ponders suitable political measures to counter the North Korean belligerence, a panel of humanitarian experts has been called to advise the Council on how to minimize the consequences of their actions on the civilian population through smart sanctions. The international community has been concerned with the recent developments in the Andean region in South America and the mounting tensions between rightwing Colombia and leftwing Venezuela and Ecuador. The countries have pursued opposing policies for some time and the political differences have increased also due to Colombia’s close ties to the United States and Venezuela pursuing closer co-operation with Russia. The Andean region is the most dominant coca-producing region in the world. This results in many challenges for national politics, and even for international politics: influential organized crime, guerilla wars, and huge numbers of internally displaced people. 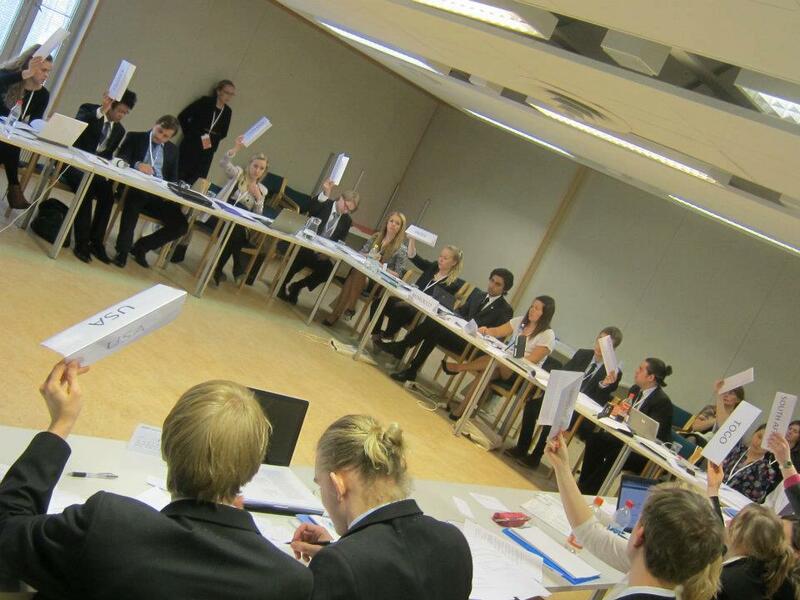 During the Finnish Model United Nations 2009, security dilemmas in relation to this multifaceted conflict were the focal point of the Security Council meeting. Kashmir has been disputed by India and Pakistan since the partition of the subcontinent in 1947. The two neighbours, now nuclear powers, have twice waged war over Kashmir, which is over 60% Muslim. The mountainous region is divided by a Line of Control, often breached by separatist militants. The Indian side – Jammu and Kashmir state – is home to about nine million people. Some three million live in the northern part administered by Pakistan. The United Nations Military Observer Group in India and Pakistan (UNMOGIP) was set up in 1949, and deployed in January of that year to supervise the ceasefire agreed between India and Pakistan in the State of Jammu and Kashmir. Since renewed hostilities in 1971, UNMOGIP monitors the ceasefire called for by the United Nations Security Council. In 2004 Pakistan and India embarked on a peace process, but major sticking points remain. Delhi would like the Line of Control to become an international border, while Islamabad would like Muslim-majority areas to become part of Pakistan.